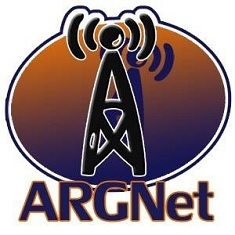 Well, it seems we here at ARGN have been asleep at the wheel for the past few weeks. A new Alternate Reality type game has begun and we almost missed it! Billed as a form of interactive fiction or viral narrative puzzle, The Legend of the Sacred Urns is pretty transparently a marketing tool for Sharp’s Aquos line of LCD TV’s. But once you get past the initial site, you soon forget about that, as you’re immersed in a nice Alternate Reality world of treasure hunters and the mysterious findings of a guy named Dagobert Steinitz. According to the developers, the game launched on September 15th, and is scheduled to run through the end of the year. The main trailheads are moretosee.com, which you may have seen on the TV commercials (you know, the one where the orange Karmann Ghia crashes into the pool), and steinitzpuzzlers.com. These sites lead to numerous more websites, and the game has included a variety of elements, including the aforementioned television commercials, print, telephone, and even an art gallery. They’ve set up their own forum as a player area, which includes a nice FAQ to get you started. We haven’t had a chance to delve into this very far, but then again, that’s your job! We have turned up almost a dozen websites and some cool puzzles, though. So, whether you’re new to ARG or finishing one and jonesing for more, the Legend of the Sacred Urns may be just the ticket.